ARVIND SWAMINATHAN writes from Madras: You scratch my back and I will scratch yours, is India’s most famous sport, especially in the upper crust of society. And the country’s richest sporting body, BCCI, and the country’s second largest IT company, Infosys, have just shown how it is played, in full public glare. Monday’s Times of India had a story that BCCI was in talks with Infy to prepare, hold your breath, “an exhaustive injury database” following the flurry of injuries to its top players—Virender Sehwag, Gautam Gambhir, Zaheer Khan, S. Sreesanth—who have all skipped the ongoing West Indies tour because of various aches, pains and niggles. 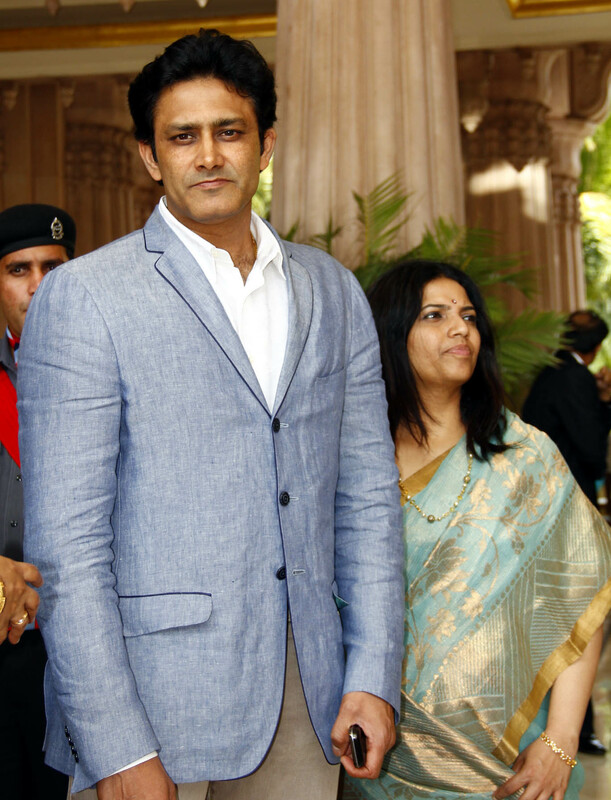 According to the report, former India captain, KSCA president and NCA chairman, Anil Kumble, was in touch with Infosys to develop a software for injury management of players. Reading the report, the first thought that crossed my mind was: who first scratched whose back first? And who is deriving more pleasure out of the experience? Indian cricket for all its dhoom-dhamaka is still a stiflingly small sport. The number of international players, and the number of domestic players seeking to gradaute to the international level, is small. And to tabulate their injuries, you need Infosys, when a coach in shorts with a spreadsheet can do the job? The $7 billion company refrains from getting into the product-making zone, doesn’t make big mergers or acquisitions that will take it to the next level, but is happy to be doing silly odd jobs that a 20-year-old with a 486 could be doing after class-hours? Today’s Hindustan Times hits the nail on the head by calling the BCCI-Infosys what it is: a silly PR exercise. Reason: sports clubs around the world have long used software to spot talent, plot diet plans, record medical data, and track players from the junior to professional levels. HT says Brentford FC, a lower-division English football club, asked a software developer called PlayersElite to come up with the required software to manage its players. “It cost £5,000 (approximately Rs 3.5 lakh) to develop the software, and requires a further £400 (Rs 30,000) per month to maintain it,” says its head of youth recruitment, Shaun O’Connor. But to see BCCI, Infosys and Anil Kumble in this tech tango—as if they are sending a man to the man—offers a sobering insight into both Indian sport and Indian business. Why haven’t we heard of Cisco or Microsoft or Sun Microsystems doing likewise with NBA or World Series or whatever? Because it is not rocket science, Sherlock. All BCCI needs to understand why its players are falling like flies is to look at its own timetable and an exhausting circus called the Indian Premier League (IPL). But why would BCCI or Anil Kumble cut off their own legs, when one runs the IPL and the other advises the Royal Challengers (RCB)? Maybe Kumble as the new KSCA president wants to build sport-industry relationships, with the “future” in mind. Well then, BCCI doesn’t even have a website of its own. Maybe, they should also ask N.R. Narayana Murthy & Co to help them design a website while they are working on “an exhaustive injury database”. It will be total paisa vasool. Also read: Why don’t we hear of IT excelling in sport? Biggest. Largest. Highest. Mostest. Anywhere. This entry was posted in Cricket, Etcetera, Murthy Angadi, Mysore-Bangalore and tagged Anil Kumble, Arvind Swaminathan, BCCI, Chethana Kumble, Churumuri, Hindustan Times, Infosys, Infy, IPL, Karnataka Photo News, KPN, N.R. Narayana Murthy, Ratnakar Shetty, Royal Challengers Bangalore, Sans Serif, The Times of India, TVS. Bookmark the permalink. ← CHURUMURI POLL: Is Baba Ramdev’s yoga bogus? The main focus of this mean spirited griping seems to be that BCCI and Infosys were so gauche about announcing their mutual relationship when they should have, really, like Bollywood starlets, been coy about it, seen around each other, issue firm denials, and then, in the full glare of the media announce the relationship with competitive bidding for the media rights. Likewise, the HT piece is riddled more with sarcasm and less with hard facts about sports injuries and the exact software tools being developed. To imagine that the software developed for a small football club can be “bought off the shelf” and scaled up for nationwide use is to mask sheer ignorance with a thin veil of snarkiness. Both pieces seem to assume cricket in India = Indian cricket team, as if all those slog away at the first class and age group levels are fools who have nothing better to do with their time. They are professional cricketersmoney and the chance to rub shoulders with international cricketers. I still think IPL is destructive in the long run for the game, but please understand that injuries can end a career in sport in a manner far too cruel for other professionals to understand. Sportsmen have a ridiculously short career span (relative to other sports) and despite putting in the effort from age group upwards, if injury cuts it short, it is quite a cruel fate. It is all very well to blame the IPL, but that’s a bit like saying J Dey deserved it because he should have known better than to try and expose the mafia. I suppose this post is typical of a certain section of our upper middle classed and the press that caters to them: sneering. No worthwhile critique is being made or problems or issues are being raised that should form the subject of debate between reasonable people, but something’s being sneered at for the lack of a better or more informed response. But, this is a blog, the internet’s a free-for-all (more or less) and you’re free to sneer. Just don’t expect the rest of us to sneer along. My problem is with the commericlaization of sport in the first place and gargantuan overstatement of the sport cricket in the second, leave well alone an ‘injury database’. Sport is not a profession, sport is sport. I too need a sofware to keep track of my tatasky bill!! Can Infy help me??!! do you need much more to realise the stupidity of infy which has no vision and is only a “mistry’ for “techno coolies”. For a moment, I thought, I was reading a Faking News article. What is ‘ sending man to the man’- should it read ‘ man to the moon’. Probably Murthy angadi will develop software to edit Churumuri posts. Anil Kumble is responsible not being selected R Dravid, manish pandey and other players to play for RCB. Now he is responsible for another blunder. BCCI has money and they wanted to waste it. I’m really scratching my head about this ‘Injury database’. What will such a database contain? I’m really curious to know what kind of data it will track! Me too sneering along :-) !! “an exhaustive injury database” !! I bet it is the Infy PR doing going overboard, what with all the negative publicity coming their way recently. Couldn’t Infy-PR have come up with something better? >>And to tabulate their injuries, you need Infosys, when a coach in shorts with a spreadsheet can do the job? Totally agree. Time for some high-level exits from the Infy-PR department. why does Infy have to build product or be cool like Apple ? scratching my head…here is a company grown to 6 billion in six years and this author has the audacity to sneer at that achievement. I agree that we need not, and must not expect Infosys to build “products”. They are doing something and providing employment to thousands of people. Whatever they do, they are bringing money into the system, and the nation. But on the other hand, this talk of “Injury database” is funny, to say the least. Anyone who knows the first thing about computers and IT will laugh at this. An excel spreadsheet will do just fine, as the author says. iI it to track Infy injured employee list or cricketers or BCCI officials?All three are getting injured one near the spine,other everywhere and officials to an extent less as they sling only mud. I saw the RFC while flying out from Dallas. I had one Infy slave who was working at Airport’s Starbucks. It must send get well soon email to injured player. It must send welcome back message as and when injured player is fit. It must track all the injuries and must calculate mean time between injuries for everyone and just before the threshold it must activate bubble wraps so that no one gets injured. @ A Journalist, you should approach the IT bellwether TCS for it, you might actually get a Tata-Tata discount for that. guess its dual purpose …going by the amount of injuries that Infosys seem to be getting , they would also require an’ exhaustive injury db’ …. Sarcasm or not a database is purely a clerical job. I don’t see any reason why a big company would be required to undertake a penny job like that. I do believe its a PR exercise which we gullible Indians easily fall for. Such cheap tricks are pretty common in India. In the recently held fair at IISc B’lore, the chemistry dept. was demonstrating pH indicators (these are a dyes whose color is influenced by the pH of a the solution). Many innocent school children were immensely impressed, thought of IISc as a great institution, and decided to pursue Ph.D. Even some matured journalists were impressed since the story appeared in new papers. This is something chemistry students do in high school or PU College. Likewise, you visit any scientific institution in India and you will mesmerized with great experiments . But look for solid provable achievements and you will find none. Ex 1.How many of you think ISRO is GREAT. Do you know how many satellites were actually launched from ‘their own facility in India’. I’m told none of the ‘communication’ satellites were launched from here. Only ones launched were the remote sensing sat and only ISRO can certify their use. So no verifiable use. Ex.2 Go to CFTRI in Mysore and they will say that they developed the chocolate making technology for CAMPCO in Puttur. Well my uncle was a senior executive there since its inception and confirmed that it was imported from Germany. Ex3. Most Indians are still mesmerized by Tata’s NANO. Have you looked closely. 600 cc engine. Try taking 800cc Maruti up at 30C incline road. Nano’s cost in India 2500 USD; its cost in US and Europe 8000 USD; why additional feature to meet their minimum safety requirement. Means, Nano sold in India is 60% unsafe ! I’m only trying to convince readers that we Indians seldom pay attention to technical, statistical, performance, provable data. We like to revel in hearsay. I appreciate the article (despite its intentions) for its highlight of technical detail. BTW you are joking about the specs right? 1. In this case I agree, there is very little of database work. A 5th standard student can work out a neat ‘database’ of all the sportsmen in India. BTW database work is not clerical. If it was Google, Amazon and others would be wonderful ‘clerks’. 2. IISc has some solid achievements. What the IISc Chemistry department did was to demonstrate pH indicators. You were not expecting a nuclear reactor in a test tube, were you? So take it easy. 3.ISRO is a great place? I think not but ISRO has done commendable work in remote sensing amidst a very challenging field. BTW even your friends who belong to ‘verifiable use’ category have been shamelessly buying its remote sensing capability for their own ‘verifiable useful purposes’ :) BTW why is a Comms satellite higher than others? Are you very fond of communications? Please enlighten us. 4. CFTRI has done some good work. Processed foods, food packaging, and so on. Agreed chocolate making machine was imported from Austria. Whats the big deal about it? Did your uncle feel very bad about this and he didn’t accept his salary or what? 5. Nano is still unproven but ‘verifiable use’ test it has passed. What the UK and USA want with a safe car is different from India. Are you saying you need the same freedom to bear arms and would want every Mango seller in Mysore armed with a pistol so as to increase his selling power just because the US wants it that way? LOL. OK your point is we stupid ‘verifiable use denied’ Indians are accepting a low-grade, highly unsafe product. OK then you have a choice: buy the Hondas, Toyotas, GMs, Fords…Simple isn’t it? I think some of us in India do pay attention to technical details and some of us are actually smart enough to figure out things. A few months ago there was a huge outcry about how Anil Kumble & Javagal Srinath ruthlessly and openly swindled the public and cricket enthusiasts with millions. There was even a debate proposed in the Vidhana Souda. Like all scams in this country and ‘noted state’, nothing came out of it and the duo are back at business! Well, they may even be awarded another national award pretty soon! Wokay…Infosys is not exactly an innovator. 1. Not being able to replicate (not innovate) basic infrastructure facilities across the country (rural, urban and everywhere). 2. Not being able to meet basic human needs like water, healthcare and hygiene. 3. Not being able to keep the prices of agriculture products’ prices stable by building basic storage facilities. Author and other commentators seem to hold different set of standards to Infy that do not apply for rest of the country. End of the day, Infosys understood labour arbitrage more than anyone else and is sitting on a huge pile of cash. Infosys not half as good as Microsoft/IBM? Yes. But isn’t it because India is not 1/1000th as good as America? Anyone has the honesty to agree? Agreed. Though the 1/2 and 1/1000 numbers may be off the mark. @DB – nice to see you bring some balance to this debate here. As for the comment ‘>>And to tabulate their injuries, you need Infosys, when a coach in shorts with a spreadsheet can do the job?’ I must say that in a 4G world this is a typical 1G (first generation) response!! Yes it is true that a coach in shorts can handle an injury list with a spreadsheet, except that it is no longer just a coach, it is an army of trainers each having their own laptops. Wait, did anyone mention the BCCI approved physicians who can directly access players’ injusy lists? Or the experts watching players’ progress in the National Cricket Academy? Or selectors who are spread out all across the country scrambling to get three injury free teams for different cricket formats? Or the team think tank itself who have to dynamically decide who the fittest players at a given moment are? Think of how much a injury database can help. Yes I could still ask for my nephew to help me with this during his summer break except that he would leave it unfinished once he finds something else to do. Did someone mention support? My nephew would reply that if they needed support they should have hired a proper software dev shop. There are many softwares that can be developed by schoolchildren , but most of us still prefer known companies for the simplest of solutions. Agreed that for both Infy and the BCCI this is mostly a PR exercise, but we need not go overboard in trying to beat them up for it. Often big companies do little things to get some visibility and to have a footprint however small, in a particular area. This injury database by itself may be a ‘chillre’ project for Infy but could help the company garner some good publicity in a cricket crazy country as well as show that it has some presence in the sports world when it bids for a more substantial technology project related to any sport. For the BCCI which is always getting beaten up for its disnterest in technology and to players’ concerns, what better way to showcase that it is sensitive to both, than to implement an injury database? So this excercise becomes a win-win for both. Just to clarify I have nothing to do with either Infy or BCCI. go the now-unfashionable “paid news” route. the same predicament doing just the same things. Think of private schools that are buzzing with quality… so much that they need to shout from the rooftop on how they use IT “to Deliver Quality Buzz in Education”. Read their news ( http://news.in.msn.com/national/article.aspx?cp-documentid=3620357 ) and, don’t you catch the similarities ? That piece of MSN “news” is coincidentally from a Narayana Murthy associated private school called Global Indian International School whose software “GLIMS” could purportedly give Infosys a run for the money, or so it seems. Or, perhaps the school and Infosys both share high-punching PR/media advisors ? May be. The school’s PR is surprisingly confident in its claim that “the school’s ERP is better than any off-the-shelf product, as it was developed in-house using design interface ideas given by teachers”. Impressive, will it give Infosys a run for the money ? Will BCCI go with the school and leave Infy in the dumps ? May be not. But not because Infy is much better at it. Perhaps because the school’s governors include a veteran BCCI office bearer, Chandu Borde ( according to http://www.giissurat.org/Management/BoardofGovernors.aspx ) and that might be a conflict of interest. Sorry, Global Indian International School, better luck next time. Infosys shouldn’t be worried though. Their core competency (as noted by some commentor) is labour arbitrage; products aren’t their cuppa tea unless you begin to think Finacle… which is another story. This is a joke. When player gets hurt, Infosys make 30% profit. Profit will be based on transactions that happen on cricket field. The company’s visa practices are under scrutiny. N. R. Narayana Murthy, a founder and recently retired chairman of Infosys. Accusations that the company, Infosys Technologies, repeatedly violated the terms of business visitor visas were first raised in a lawsuit filed in February in Alabama by Jack Palmer, an Infosys project manager. Anil Kumble is bowling bigger googlies outside the cricket ground. As for Murthy, I doubt he ever saw a cricket match in his life. Murthy Angadi in news again, pity their PR have no effect in courts. An Infosys employee, who has alleged that Indian tech giant, Infosys Technologies Ltd., engages in visa fraud, provided more details to a U.S. Senate subcommittee this week. There goes the holy cow.